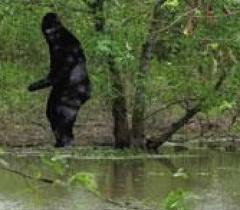 Hawaii 0 (the only state without a single Bigfoot sighting). 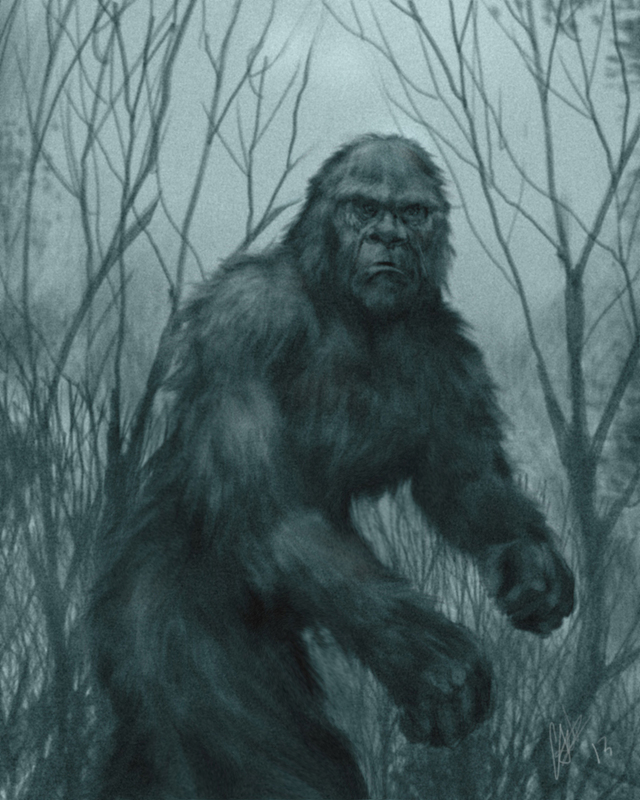 If you decide you want to go searching for Bigfoot, don’t even think of hunting him in Skamania County, Washington, where it is illegal to kill a Bigfoot under penalty of a $1,000 fine and five years in jail. If you really want to celebrate the existence of Bigfoot, be sure to visit Willow Creek, California, which has designated itself the capital of Bigfoot country. In the very center of town you’ll find a life-size wooden carving of the creature. Of course, skeptics dismiss the whole Bigfoot thing as an on-going hoax perpetrated by losers who have nothing better to do. 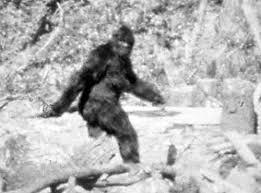 As for myself, I prefer to put Bigfoot in my own special category that also includes the tooth fairy, the Easter Bunny, Santa Claus, Tinker Bell, and the Blob. I don’t want to officially come out and say I don’t believe in any of these creatures, but I also don’t want to totally discount them either, in case any of them decide to pay me a sudden visit. When I was recently pondering the existence of Bigfoot, the following song came to me. Just as I was congratulating myself on having written the only song about Bigfoot, I checked the BMI web site and discovered that there are over one hundred Bigfoot songs. Humph! Nevertheless, here is my own humble composition. Note to banjo players: This banjo tab is written out in G tuning, but it’s in the key of E minor. In the tab, you’ll only find the skeleton of the tune. Feel free to flesh it out with the basic clawhammer lick if you’re an old-time player, or your favorite Earl Scruggs rolls, if you’re a bluegrasser. 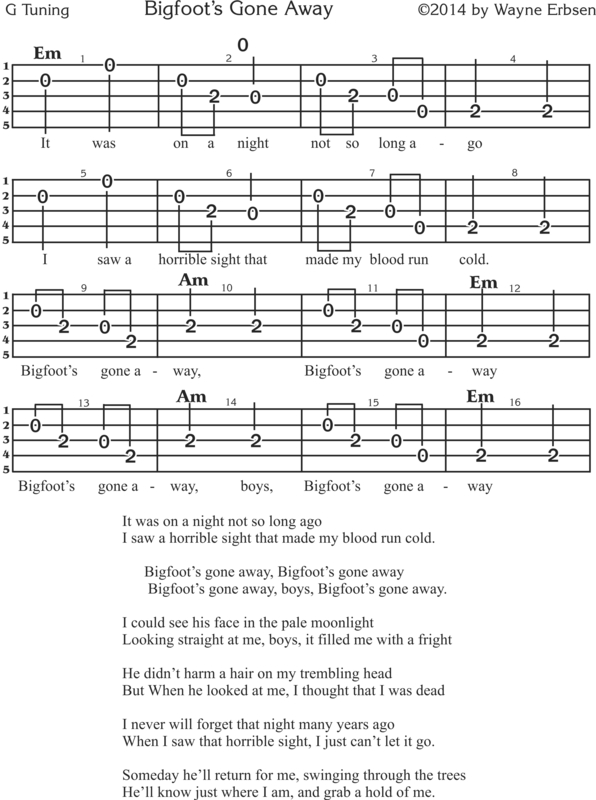 To fiddle and mandolin players: “Bigfoot’s Gone Away” is written out in a simplified tab in the key of E minor. The four lines are the four strings of your instrument. A letter on a line represents the name of the note that you play on that string. In this unique tab system, there are only three kinds of timings: Quarter notes, eighth notes and half notes. If a note has a single vertical line above or below the note, that’s a quarter note. Eighth notes are connected by three lines. Half notes have two vertical lines. Wayne Erbsen has been writing about and performing old-time and bluegrass music since the early 1960s. He has written and published over thirty instruction and songbooks for banjo, fiddle, mandolin and guitar. His instruction books use the same tab systems as is used on “Bigfoot’s Gone Away.” Check out our instruction books HERE, available in both paperback and digital formats. Bigfoot will be a known music composer someday. I bet! it has became one of my favorite plucking tunes.